Living in North Dakota, you rely on your car to get where you need to go, from getting to work on time to your weekend fishing or exploring trips. Having the right car insurance is part and parcel of having a reliable vehicle. Accidents happen, but if you have the right coverage, they do not have to turn into disasters. Nationwide offers auto insurance options that can help in a variety of situations. Talk to a representative about the types of coverage available, as well as about ways you can save on your premiums. North Dakota residents will do a lot to keep their homes secure. No matter what type of home you have, it provides a safe place to return to at the end of the day. Unfortunately, it can take just one event to rip that away. Nationwide cannot keep fires and burglars away from your house, but we can offer you the next best thing: coverage to help you recoup the financial loss from damage to your home or loss of your possessions. 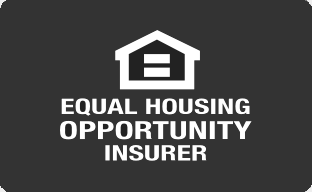 Our homeowners insurance policies come with various options that can be tailored to suit your needs. At Nationwide, we understand that a business's insurance needs can depend on factors such as its size, industry and future expansion plans. We tailor our insurance products to specific industry needs. For all your business insurance needs, Nationwide insurance professionals are here for you every step of the way. Our no-fuss online tool allows you to quickly obtain a personalized quote for the insurance product you want. For more extensive support, get in touch with a Nationwide representative who can fully explain available options.